Here is a CD full of compositional diversity. 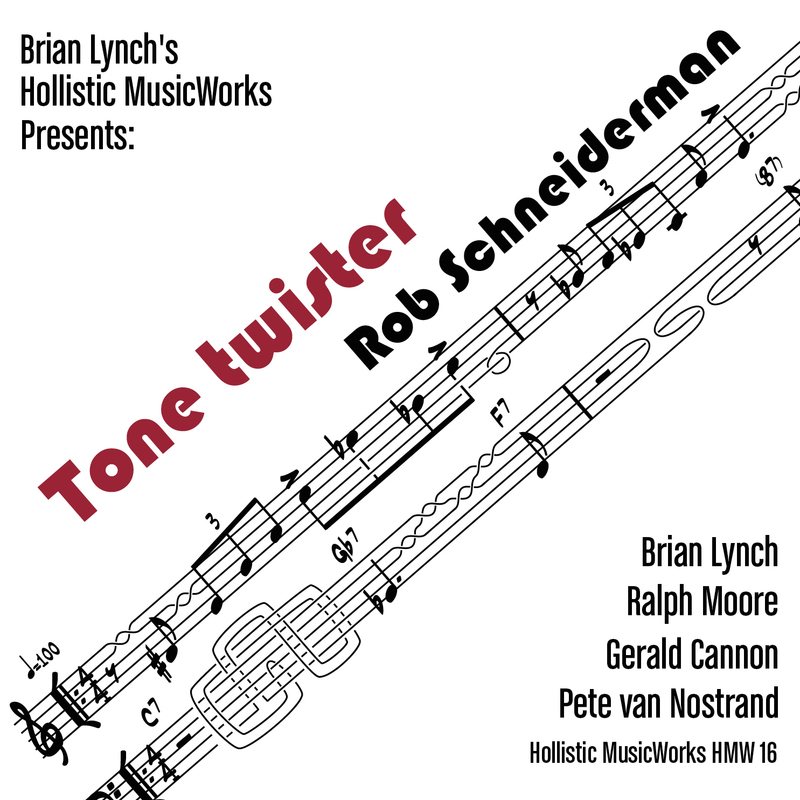 Schneiderman is a prolific songwriter and presents a variety of arrangements that range from Smooth Jazz Funk on “Left Coast Lullaby” to the Latin fused “Footloose Freestyle”. He offers mellow ballads like the standard, “Unforgettable,” to “Distant Memory,” a Straight Ahead composition where Schneiderman stretches his fingers across the keys like a restless butterfly. His arpeggio runs and bright solo work stimulate this project. I believe I may have witnessed Schneiderman working with Charles McPherson in the early 1980’s when I was often in San Diego enjoying the jazz scene. “Slap Dance-Tap Stick” is very Thelonious- Monk-sounding. The liner notes describe this work’s harmonic structure as based loosely on “I Got Rhythm.” Another composition, “Windblown,” is a melodic waltz. The amazing talents of Brian Lynch on trumpet and Ralph Moore on saxophone certainly add spark and creativity with their horn lines and individual solos on this tune and throughout the album. Schneiderman’s choice of band members is superb and each brings their genius into play on this project. All eight of Schneiderman’s original compositions are works of art that are brought alive by these competent players. I was particularly taken by “The Lion’s Tale” that ends this album. As someone who has worked with some of the most iconic jazz players of our time, including Eddie Harris, James Moody, J.J. Johnson, Clifford Jordan, Art Farmer and the TanaReid quintet co-led by drummer Akira Tana and bassist Rufus Reid, you will hear this seasoned veteran reflect his many influences in both his compositions and piano style. Every cut on this production is wonderfully arranged and celebrated by Schneiderman and his star-studded band. This is the kind of jazz album that never grows old.